ENGAGE - “Cats or Dogs?”, “The Walking Dead or Game of Thrones?”, “What’s the hardest part of growing your business?” … Notice how these questions make you think and would make you want to share your thoughts? Posting engaging questions and visuals similar to the questions above will prompt your followers to share their thoughts with you. The result? 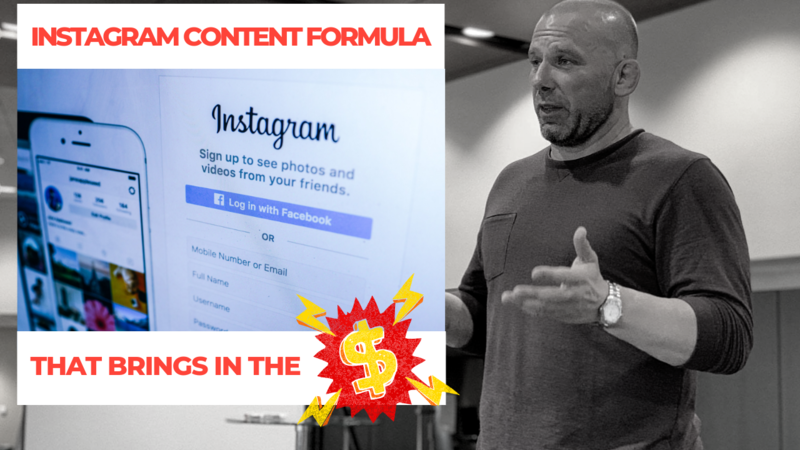 - a highly engaging post, the possibility of going viral and landing in the popular section of Instagram or having leads knock at your door! SELL - immediately selling without building relationship with your followers could be a huge turn off. Always, provide value first and sell next. Your trust and sales score are always higher to someone you’ve provided value with in the past. Needless to say, this content formula applies to most social media sites, not just Instagram. From last week’s blog, I’ve mentioned that having a clear Call To Action is important. I will say that again today. Make sure that you have a clear CTA where its needed - Link in Bio, Swipe Up Link (for Instagram business accounts with over 10K followers), in your post captions and IG stories. More traffic tips coming your way next week. Stay tuned.